Good Time to Purchase or Refinance a Home! 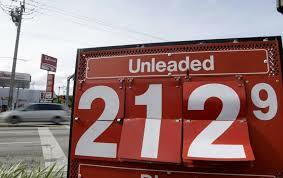 All we have to do is turn on the television or drive down the street to notice the price of gasoline falling. It is a source of joy and relief as it costs so little today to fill up our tank. Going to work, getting the kids to school, and even taking vacations has once again become reasonable. While this is great news to the oil industry and to car manufacturers it also creates an upswing for the financial markets and in so doing definitely has a positive impact on most aspects of our financial lives. According to Fannie Mae’s Economic & Strategic Research Group lower gas prices help to make the labor market a better place and in so doing raise the net worth of households like yours and mine. Because people feel that they have more money, they are purchasing more and that is strengthening our economy and business outlook. While there was some confidence last year that the economy would improve, with the lowering of fuel prices the outlook is even better today. Due to all of this good news economists believe that the economy will rise 3.1 % as opposed to the 2.7 % that was previously forecast. This is great news for people interested in a new mortgage or refinancing an existing one. It is expected that with our rising economic outlook there will be more opportunities for first time home buyers and for current home owners to either move up or refinance. According to Fannie Mae all this good economic news is going to steer the Federal Reserve in a direction that will begin to normalize policies on the monetary front . As this happens it is expected that the economy will slowly continue in a steady pace upwards through the next 2 years. This more than likely will keep interest rates low for some time making home buying more palatable for most consumers. Are you a first time home buyer and interested in putting money into your own home and piece of real estate instead of financing someone else’s goals? Is it time to move into a larger home with your growing family? Would refinancing your current home give you greater cash flow? If you answered yes to any of these questions, now is the right time to sit down with a mortgage professional to help you realize your dream of owning a home, moving into a different home, or having additional cash monthly!